I was so fortunate to get my hands on the November 1, 1994 edition of Animedia Magazine, whilst visiting the Hondarake Japanese Book Exchange in Sydney (located only a hop, skip and a jump away from where I used to work) two years ago. 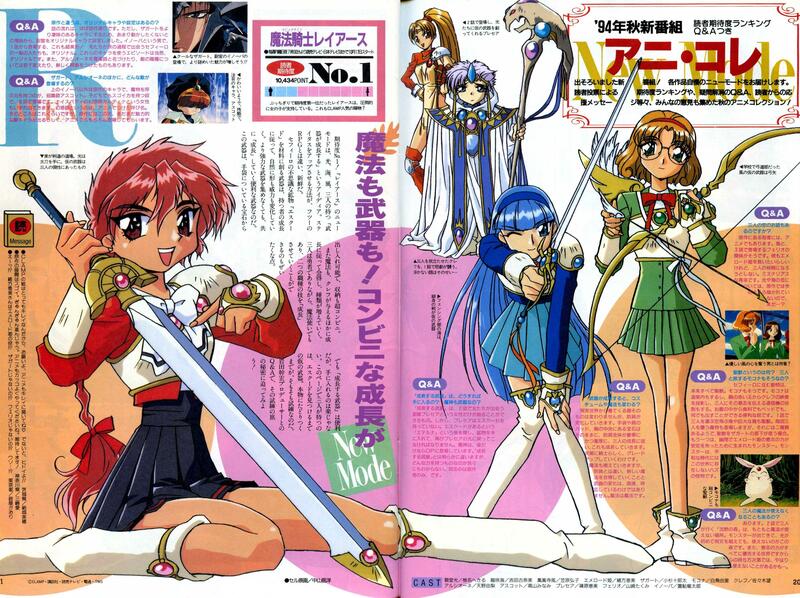 This particular issue had the girls from Magic Knight Rayearth on the cover (I'm still considering scanning the cover one of these days (watch this space)) and I came across this rare-to-find image of Hikaru, Umi and Fuu armed with their weaponry prior to finding the mineral Escudo within the Fountain of Eterna. This story was published to co-inside with the airing of the first episodes of the first season of the MKR Anime Series in Japan. 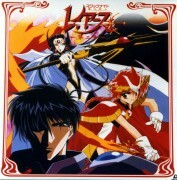 (I would have been in the Seventh Grade at High School when this came out at the time). As I said, the image of these three girls is a rarity, but it sure is a brilliant find if nothing else - which I'm sure that all MKR and CLAMP fans alike (like me) are sure to agree and enjoy! Gracias por las imagenes! YEY! owwwwwwwww son tan lindas *-*! las amo! Omg I love you for posting this. Thank you!